If you’re an introvert, you know how it feels to be too tired after work. After a long day slaving away for the man, you come home with mush for brains, and zero energy. This is frustrating for many reasons. First of all, there are a lot of things you need to do when you get home. There are animals and loved ones to tend to, friends to call back, neighbours to hide from. But here’s the problem. All of the above tasks take energy. And when you are an introvert who works in a draining environment, energy is one commodity that is in very short supply at the end of the day. Do you know why you feel too tired after work? For introverts, this is an important question with an answer that is more layered than you might think. Sure, work is stressful and demanding for anyone — that’s why they call it “work”, right? But for introverts, it’s more than that. For introverts, going to work is a daily battle with overstimulation. 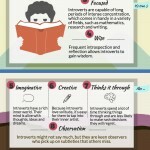 The reason has to do with the way an introvert’s brain works in comparison to an extrovert’s. In the 1960s psychologist Hans Eysenck proposed that introverts and extroverts have different levels of cortical arousal (the speed and amount of brain activity). Introverts have naturally higher cortical arousal, which means it’s easier for our brain to get overloaded and drained. I know how it feels to be too tired after work. 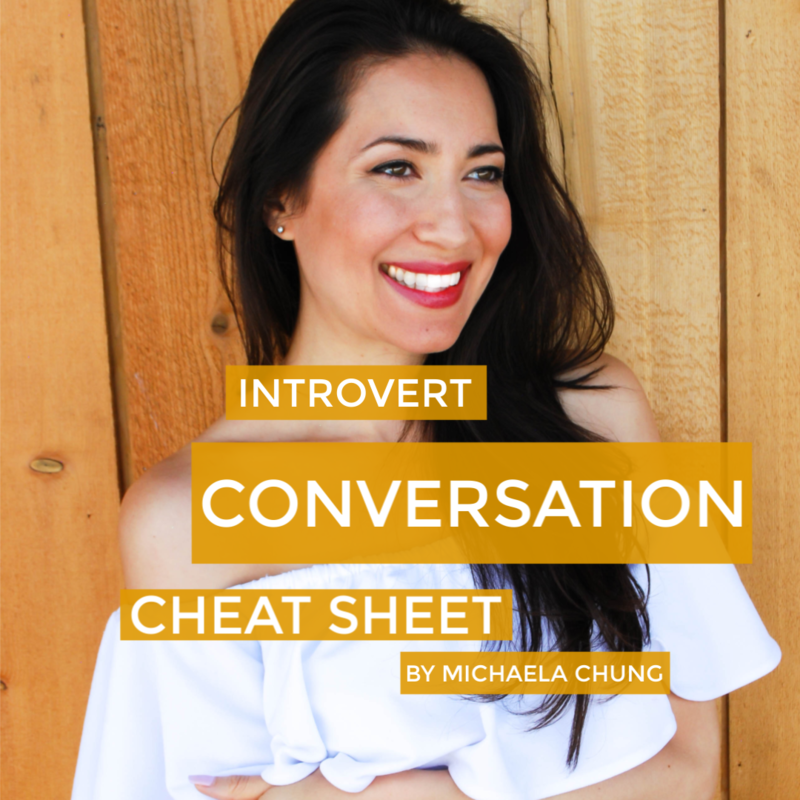 As a writer and online entrepreneur, I may have an introvert’s dream job now, but it wasn’t always this way. My past jobs include: medical assistant, waitress, early childhood educator, reporter, call centre surveyor, bank teller, chocolate shop attendant, and many more. Nearly all of my past jobs left me feeling way too tired after work — so tired, in fact, that I didn’t have the energy to do the things that bring me the greatest joy. I was so mentally drained that I couldn’t focus on creative projects. Cooking, which is one of my favorite pastimes, became a necessity to get over and done with as quickly as possible. Even talking to people I cared about was a chore. If any of the above sounds familiar to you, you’ll agree that this is no way to live. Sure, you need to make a living, but you also need to make a life. Building a fulfilling life takes energy. That’s why knowing how to recharge fast after your workday is key. Over the years, I’ve tried out a variety of after work routines in the hopes that I would find the perfect activity to restore myself quickly. 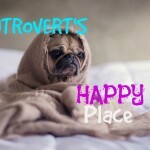 What I discovered was that it’s not just one thing that rejuvenates us as introverts. We have to have a variety of recharge tools in our arsenal, so that we can pick and choose what will work best at a given time. 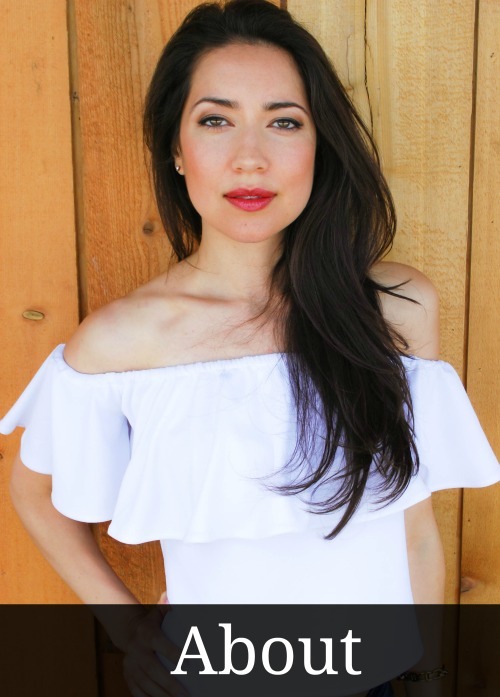 Read on to discover my favorite recharge tips. I’ve also included a sweet little summary infographic for you to download, print, and share on social media. 1) It quiets your mind, which results in better focus and attention. 2) It gives you a powerful dose of rejuvenation in as little as five minutes. Meditation creates a peaceful bubble of protection from outside stimulation, including noise, people, and plasma screens — all of which can be very draining. It also helps you sleep better, especially if you get your zen on right before bed. Taking a bath is both relaxing and rejuvenating for introverts because it provides an oasis of solitude. I recommend turning out the lights, and just using a nightlight or candlelight to supercharge the benefits. Again, it is the reduction of stimulation that makes this activity so effective when you are feeling too tired after work. Going for a walk is a great way to recharge because it connects you to nature, the ultimate source of rejuvenation. It also works because walking soothes the mind and prevents overthinking. And there is research to prove it. A Standford study led by graduate student Gregory Bratman found that walking in nature quieted the part of the brain that is active during rumination (obsessive negative thinking). The study split up a group of 38 city-dwellers. Half the group sauntered in lush green solitude. Meanwhile, the other half walked near a busy highway. In the end, the volunteers who walked near heavy traffic were just as broody as ever. The peaceful park wanderers, however, had less blood flow to the subgenual prefrontal cortex (the rumination station introvert brains love to tune into after work). The bottom line: walking is an easy way to quiet and replenish your mind when you’re too tired after work. Just be sure to stroll in a peaceful environment. If you live in a busy concrete jungle without a sliver of green in sight, try walking at a quiet time of day, such as nighttime. You might think that cooking is the opposite of relaxing after a long day at work, but it depends on how you approach it. Cooking can be a flow activity, which focuses your mind. The beauty of flow activities, which also include gardening, running, and mountain climbing, is that they create a kind of mental rhythm. Your brain can relax into the moment as it travels along familiar grooves. When you’re feeling too tired after work, you might be tempted to shut people out. After all, people are highly stimulating, and therefore, draining. But here’s the thing. The human need for fulfilling connections is universal. 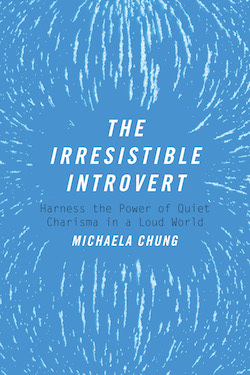 Whether you’re an introvert or extrovert, you will feel energized by true intimacy. Emotionally intimate relationships that are built on acceptance, trust, and mutual respect rejuvenate you. 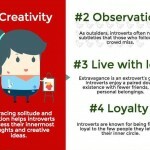 Most introverts are naturally creative. It’s just another one of those perks of being introspective, and intuitive. The thing about artistic expression is that it needs to be, well, expressed. When you keep it locked inside you, you start to feel weighed down. Allowing yourself to get creative makes you feel light, free, and refreshed. Yeah, yeah, yeah … I know you’ve hear this one before, too. I resisted doing yoga for a long time because it seemed boring and pointless. But last year I caved and gave it a chance. Now I get it. Yoga goes beyond exercise. It’s one of the few activities that provides mental, spiritual, and physical rejuvenation. Best of all, you can enjoy its replenishing effects by doing the simplest of postures for as little as five minutes a day. I often do my favorite back release moves in bed. Now that’s what I call introvert friendly exercise! Dog, cat, hamster, parakeet — it doesn’t really matter your animal friend of choice — spending quality time with a furry (or feathery) cutie will help you recharge when you’re too tired after work. For the past couple of days, my boyfriend’s dog has been having sleepovers at my house. I have to admit, I feel more calm and relaxed as a result. Nothing sweeps away the day’s worries like the unconditional love of an animal companion. Say what?! Exercise might be the last thing you want to do after work, but guess what. 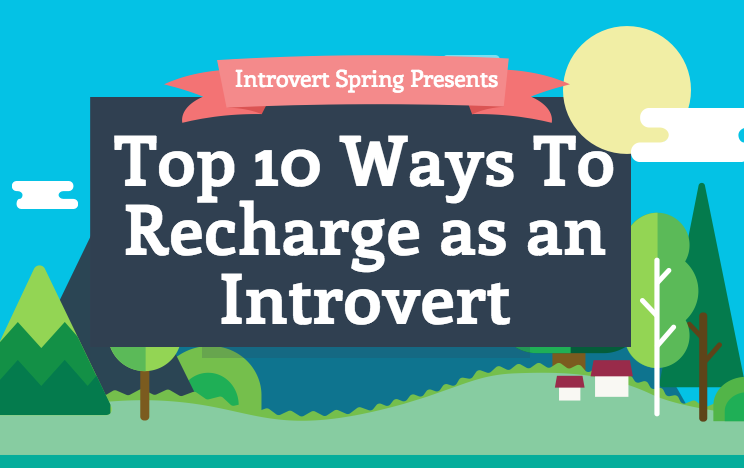 Exercise is an amazing way to recharge as an introvert. In fact, going for nighttime runs was one of my main innie coping strategies during high school. After a long day of classes, I would pop in my earbuds and run my worries away. If you’re worried about making the trek to a gym after work, consider exercising at home, or in your backyard. Working out at home saves you precious time, energy, and money. I’m a big believer in the power of resonance. When you find a song that reverberates within your soul and mind, you come back to life. Music soothes and mends what the workday leaves in pieces. A little bit of Bob Marley gets your heart dancing to a more hopeful rhythm. Some laid back Bossa Nova beats remind you that life ain’t so bad after all. So, there you have it — my 10 ways to recharge fast when you’re too tired after work. Even adding just one of these activities to your daily routine will make a big difference. I recommend starting off with the thing that seems the most achievable for you. Remember to go easy on yourself! After all, you’ve just survived a day full of stimulation attacks. You deserve some R&R. Do you often feel too tired after work? What are some of your favorite recharge activities? Please do share your thoughts in the comments below. Thanks Marko! Great to hear which ones are your favorites! This is not about work. But I am meeting a group of people I don’t know on a photoworkshop. I am pretty much a novice and am starting to have anxiety over the trip even though it was advertised as beginners welcome. How can I get over this. Hi Shirley, thanks for your message. One thing that might help you reframe things is to remember that you were literally invited to the workshop because it said “beginner’s welcome”. When you’re invited somewhere you – just as you are – belong there. I would just let people know upfront that you’re a beginner and you feel intimidated. People will likely welcome you, and try to help you, rather than judge you. Everyone has been a beginner at one point! Wow – this article could not have come at a better time. I’m so exhausted right now due to high work and family demands that I would like to hibernate until July. I almost quit work earlier this week due to the extreme demands I’m under right now. Will try to implement some of these tips so I don’t end up unemployed ! Thanks !!! Thanks for this, Michaela. A good reminder to give our quiet personality a way to return to that blissful place. As always, your articles are always on point and unbelievably helpful with what I’m dealing with in my everyday life. Thank you so much for this post!! My favorite methods for unwinding after work differ depending on the day, but a couple of my favorites are meditating (I like to use Zentangles when my ‘mind chatter’ is too strong) and listening to music. I enjoy walking quite a bit, however I currently live in the city and my automatic negative thoughts spin even faster on their hamster-wheel-of-doom. I’ve recently made the decision to make a major move from the city I’ve been raised in, to a much quieter area where I’ll be surrounded by less people and much more nature. I’m looking forward to all of my walks and hikes, as I’m hoping this adjustment can help me find even more peace in my daily life. Thanks for sharing that Christina. I’m glad you found the article helpful! And that’s exciting to hear you’ll be moving to a quieter area where you can hopefully get your hamster wheel to slow down! My quickest way to recharge is a nap. I also enjoy shopping….alone. My number one way of recharging after a long way is just driving… It works very well for me. I just enjoy driving. Especially if the trip is long. It gives me a sense of freedom from life. Going on a weekend road trip is even better. It completely recharges what a busy week has drained out of me. This is article is spot on! I love how you explain why we introverts are too tired after work. I have recently reintroduced exercise into my routine and I find it does help. Now, I plan to try meditation and walking in nature – I love nature. ? Really nice article Michaela. 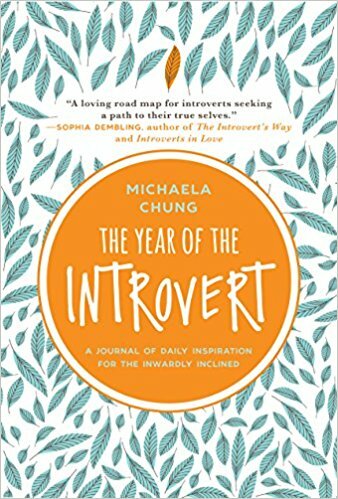 Work has always drained me and I never understood why until I read a book about Introverts and highly sensitive people last year. I have also learned the same here from you. We have a lot more receptors always out there looking for sensory input from our environments and this coupled with our actual jobs, means we are doubly tired by the end of the day. I am between jobs right now (as they say) and with the extra time I am trying to take a nice walk every day or at least three or four times a week depending on weather. It really does help. I like to listen to a book while walking to help keep my mind occupied and not get too introspective. I liked what you said about cooking being a “flow” activity. I have never thought of it like that before. I keep telling myself I need a new hobby and this might be the time and place to start one like cooking. Especially if it helps take away introspection and helps the mind focus on something besides self and problems. Thanks for your continued help with these valued free articles. I just love your articles/ blogs. Since knowing my personality type and researching it, I now feel less like an odd nod. I do often wonder how other people see us though, especially as I am the INFJ which is only 1% of population. I wish I had known this about myself,sooner. I used to self Medicare with alcohol and drugs, after work, and “overstressed” situations. Cleaned up now, but I lost a lot of my life, that I didn’t have to. Great article Michaela..wonderful tips to decompress after work. I want to know how to get socialized. People complain I am dumb all the time. I could expect some help from you. Awesome! Some great new techniques for me to try. Luckily my cooking is already a creative endeavor, hahaha. I already use meditation to start my day peaceful and energized, works great! I don’t think the candlelit bathing is going to fly with me, hahaha. Hi Michaela, these are so helpful. I’ve been so tired lately due to an increase in work hours and haven’t had the energy to spend more time here and wanted to answer these earlier. For me baking is more enjoyable then cooking, I’m more creative that way. I think that having hobbies can be relaxing too. Playing with kids such as ones own or a niece or nephew and just acting like a kid again can work wonders to relieve stress and overwhelm and would cover the exercise aspect with less structure, nothing like a little foolish uninhibited nonsense aka, F.U.N. to release those relaxing brain chemicals. I think too eating right helps as well, since we are naturally over thinkers, nutrition has to come into play for better stress management, I know that if I drink too much caffeine or eat too many carbs or sugars it drags me down, I find when I eat more raw veggies and fruits and snack on those often I have more energy, especially since I’m active naturally, just about everyday of the week is walking, climbing and going up and down stairs, it’s not uncommon for me to walk 20,000 steps a day, the parking lot to the job is often a mile or more away. I actually got into yoga and Pilates by accident, I had gotten a back injury and later was rear ended in a car crash by a at sleep driver moving 70 miles per hour while I sat in traffic, and the fix for me was exercise through physical therapy and now I’m virtually pain free and haven’t had my back go out in years. Thank you for being you, articles like this really make me appreciate all the healing you do and how helpful you are in my life. You bring so much to the table and are just such an incredibly valuable person all around with so much to offer the world. Great article, and awesome project in general. I definitely think that not only music, but listening to a calm, relaxed voice is a way to “recharge”. If you haven’t yet, you should definitely check out ASMR roleplays on Youtube. This is great – I’ll be sure to try out some of these after a long day at work! Wow I just recently took a personality test and learned that I was INFJ, And everything I’m reading about the personality type makes me react with a big YES including this article . I work with the public all day one after another, and there’s a lot I enjoy about it and make special connections all day long but I am exhausted after work, more so than anyone I know or work with. Wow great article! I chuckled about the “neighbors to hide from” part, that’s me for sure!! I like my neighbors just fine but … I’m INFJ ? I also related to the tidbit about running at night during high school years. I did exactly that too!!! Again, great article, great ideas! I like music, artistic expression, going for a drive, and prayer. Great tips. I already use a few like nature walks and pet cuddles but you gave me some more to consider. I re-entered the workforce not too long ago after a few years working from home and am really struggling with introvert exhaustion. I feel like the older I get, the more alone time I need. I can’t wait until retirement! Thanks for the great suggestions. I have used quite a few of these, but often get stuck in rumination after work, and have trouble moving forward. By the way, you may want to double check your article for spelling errors. After I leave my job, I like to go home and work on my blog or clip arts. In the past (in Virginia), I like to go to the store, stay in the parking lot and talk to God (or myself), and then go inside and buy something. Another option is going to the park.Then, I go home. But, because I have moved to a different state (North Carolina), my feelings have changed. There is a local park but it is farther away. Great article and love the visual chart! I personally identify as an extrovert (although somewhat of a mild one); However, I can totally relate to almost all of those “relaxing” activities… I absolutely love my bubble baths, running (or walking, if I’m working through an injury), and playing with my pets. There is something so soothing about yoga and other meditation strategies. I think we ALL need them, honestly. All in all, great post. Thank you. This post and these tips really speak to me. I’m an introvert working in education–the classroom is both stimulating and demanding. For me the challenge is finding effective recharge in the evenings that doesn’t devolve into supper on a tray with Netflix and an extra glass of wine. Because I live alone, and I’ve reached my limit of interpersonal interactions, I can get very lonely and isolated. Then the discipline to walk/do yoga/listen to music etc weakens. Having more than one resource — ie, a backup — will help me with that. Thank you! Hello and many thanks for this article and the comments. I hadn’t considered that I could be an introvert. But a lot written here resonates. 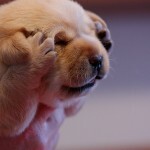 I’m extremely tired these days (new job since a couple of months, new corporate habits, people, and country! 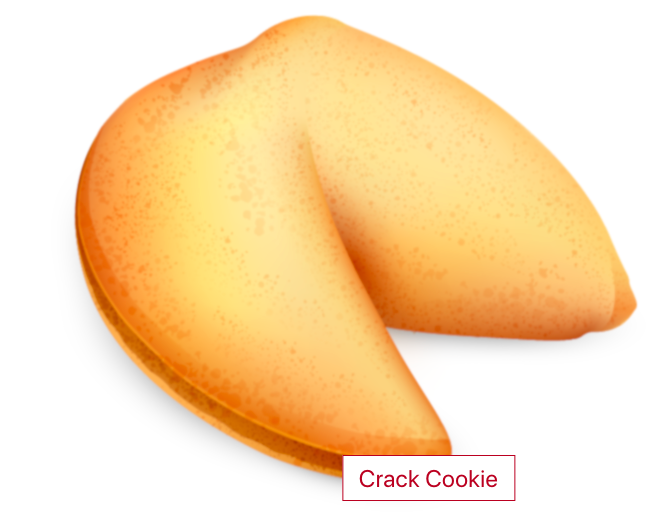 )… And the time I need to recuperate some energy is getting longer and longer… but I promise to try, tomorrow to go back to the gym and/or to the mat and/or meditate. None of these work for me. I have Aspergers, along with being an introvert, and NONE of these work. I get home at nearly 8 every night, and I am up at 6:45 every morning. They DON’T WORK. Listening to music after work definitely helps me, especially if I put on some EDM or dubstep and just dance around my apartment to shake out any anxious tension or work stress. I wish I could go for more walks, but I don’t feel safe walking alone in my neighborhood, let alone at night. Thank you for this Michaela. 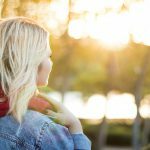 Your articles correctly detail the struggles going on within Introvert. It’s like you have been there yourself, experienced first hand. And the solutions you proffer are magical and indeed effective. There was a time I dropped off the cab I took from work home and trekked like a mile and half until I got to my gate. I discovered that my tired self came back to life and felt more vigour within me. That’s the walking there. Last Friday I exercised – did some goalkeeping training– and felt so much recharged. Hi Michaela, I stumbled across your page while googling for short audio to recharge my brain after exhausting workdays. Never knew such site exist, I got to know myself so much better after I discovered your site. Thank you so much 🙂 I got 2 questions, regarding the tips you shared on this page: 1) do you have any favorite/recommended short meditation music? 2) Also on music, is there any laidback Bossa Nova playlist that you can recommend to me? I like Bossa Nova songs myself but found it hard to find the styles that I like. Hmmm. These are all things that I’m too tired to do. Like, when I get home, I don’t even have the energy to watch TV — it’s too mentally demanding to follow a plot line. I often just sit or lie on my bed and stare for a couple of hours, and pet my cat. And I’m not a dumb person. I have a doctorate and work in data science. I just literally cannot find the mental or physical energy to do any of these “recharging” things, let alone engage in hobbies. These sound like great stress relieving activities. Not ways to find energy when you’re fried from having to interact with people all day.